Our blog is a place where young people can speak out on the issues that matter to them. We’re interested in articles on pretty much anything, whether you want to speak out and raise awareness of an important issue or if you want to cover a local event – we want to hear from you! There’s no minimum commitment and one off contributors are just as welcome as those who want to write regularly. We like creativity so if you’d prefer to post video or images we’re open to that too. If you’re aged 11 – 25 and have something you want to say, email info@nutmegcommunity.org with blog contributors as the subject to register your interest. Meron is a first-year A-level student studying Maths, Biology and Psychology at a College in North West London. Meron is young achiever from North West London who is currently doing A-levels. Here are Meron's thoughts on education, inspiration and career choices. Raphael is a Community Reporters volunteer who is very passionate about the sciences. He is currently a student at university pursing his dreams. Ann-Marie is an 18 year old Political Science and International Relations student. She has a YouTube channel called SpeakOut Generation where her and the co-founder highlight social and political issues in the life of the youth today. She hopes to go on to inspire the up coming generation to do more and to be more. Jenny Elizabeth: Should 16 Year Olds Get The Vote? Jenny, 18, is an English and History student. Aside from studying she spends her time volunteering in the health sector and writing about the issues she cares about including, politics, feminism and mental health. Read her argument below on why 16 year olds should be able to vote. Barnet Youth Blog: What should the Mayor prioritise? We have collaborated with Barnet Youth Board to create a series of four blogs, getting youth opinion on a range of political issues. The opinions below are from young people aged 11 – 18, who are politically active as members of the Youth Board. This is the third in the series on the topic of the youth vote. We have collaborated with Barnet Youth Board to create a series of 4 blogs, getting youth opinion on a range of political issues. The opinions below are from young people aged 11 – 18, who are politically active as members of the Youth Board. This is the second in the series on the topic of the youth vote. Barnet Youth Board Blog: Use your vote! We have collaborated with Barnet Youth Board to create a series of 4 blogs, getting youth opinion on a range of political issues. The opinions below are from young people aged 11 – 18 who are politically active as members of the Youth Board. This is the first in the series on the topic of the youth vote. Rebecca Clark - Use your vote: Let’s turn the low youth turnout around! Call for Submissions: Young People and Politics, London Mayoral Election. We are welcoming our second round of submissions from young writers and vloggers as part of our young people and politics series. Entries accepted from young people aged 14-25. Bez Adeosun: The importance of having your say: Why should I vote? Rebecca Clark: Should 16 year olds get the vote? Almira Mogul - The importance of having your say: Why should I vote? Almira is a 21 year old, final year, law student She enjoys yoga. meditation and writing. She reports on real issues affecting society, she feels strongly that everyone should use their vote, read her reasons here. This blog has been written by Milli Mathews, 24, as part of our Young People and Politics series. To find out more about, of how to submit your own blog, click here. Call for Submissions: Young People and Politics, Registering to Vote. We are welcoming our first round of submissions from young writers and vloggers as part of our young people and politics series. Jenna White: Are rebels winners?' Discuss. Hi, I'm Elena Cooper and I'm a student currently studying at Woodhouse College. I'm 16 years old and am interested in journalism as a media outlet. Aimee Edwards is currently studying for her A Levels and is going to university this September. She's interested in media and the arts, and enjoys writing about the issues that matter to her. Aidas Zvirblis is 17 and studying for his A Levels. "I enjoy reading and watching films, I study English Literature, Maths, Politics and Sociology but my interests cover essentially anything that catches my eye. Don't know what I want to be in the future, as long as it interests me, much like all teenagers, despite what they'll tell you". Jagger is a committed community reporter for Nutmeg, he's also a keen basketball player and is looking to promote the sport in the area. Aidas Zvirblis is 17 and studying for his A Levels " I enjoy reading and watching films, I study English Literature, Maths, Politics and Sociology but my interests cover essentially anything that catches my eye. Don't know what I want to be in the future, as long as it interests me, much like all teenagers, despite what they'll tell you." Fatmas is an ALevel student looking to go into Law or Anthropology. She enjoys writing about politics, economics, wider society, as well as art, music and fashion for fun. This article about exam stress was submitted anonymously by an A Level student who's been there! If you can relate to this experience and want to share your story please get in touch with us. Inayah is aged 16 and studying for her A Levels in Chemistry, Biology, Maths and Further Maths. She writes about current affairs that she is interested in, in relation to the local community. 2015 has been an amazing year for Nutmeg. We've worked with some incredible volunteers, worked with partners to delivery community events and had a lot of fun on the way! 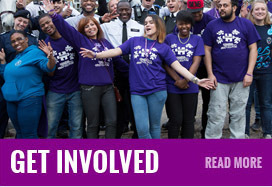 Our volunteers have worked tirelessly and we're very proud of the real, positive impact they have had. We couldn't resist putting together this video the celebrate the year..bring on 2016!! Nutmeg Community Young journalist: Winning Entry! Nutmeg Young Journalist Competition: Winning Entry! Youth Parliament blog: Why is it important to have your voice heard? Last week, I travelled the long journey from London to Wigan in the company of Nutmeg Youth Action Team and Barnet Council to visit Wigan Youth Zone. The point of the visit was to see what a youth zone is actually like, and to see which aspects we particularly liked, since Barnet Council is planning to build a similar one in our local area. Having looked around, I can safely say that it was incredible!